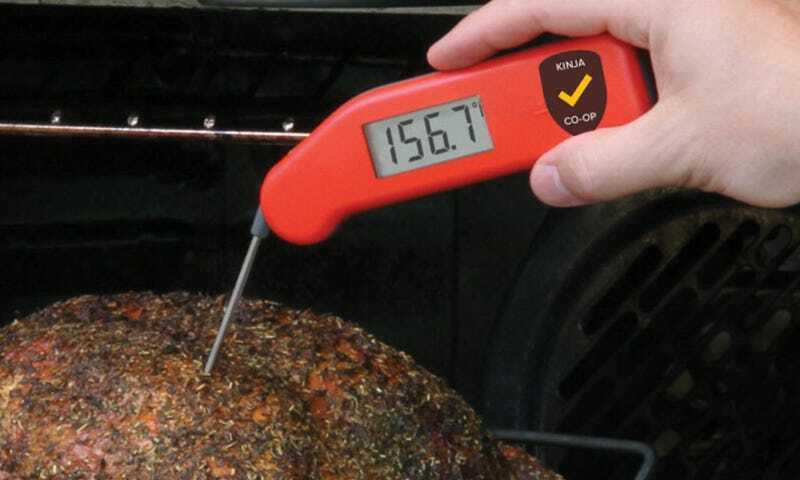 Thermoworks’ iconic Thermapen smoked (and also baked, sautéed, braised, and seared) the competition with an overwhelming majority of recommendations during our nomination round, earning itself the coveted Kinja Co-Op title for meat thermometers. 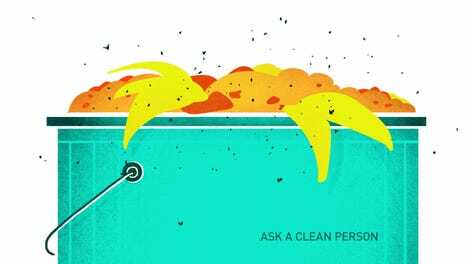 Which Meat Thermometer Do You Trust With Your Thanksgiving Dinner? The Thermapen really only had two knocks against it: Its $79 price tag, and the fact that you can’t leave it in the meat while it cooks. If the former is scaring you away, check out Thermoworks’ $29 Thermopop. Its readings take 5-6 seconds, roughly double the Thermapen’s, but they should be just as accurate. This is the only option. It perfectly bridges the gap between the $10-15 thermometers that seem to constantly break, and the $60-100+ thermostats that I will never buy. 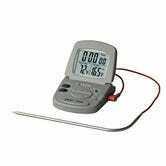 If you really want to leave the thermometer in your meat while it cooks, Taylor’s $14 digital cooking thermometer also racked up quite a bit of support.